Google Analytics is an awesome piece of FREE software that helps you gain insights from web traffic and allows you to make more informed decisions that directly affect the bottom line of your business. 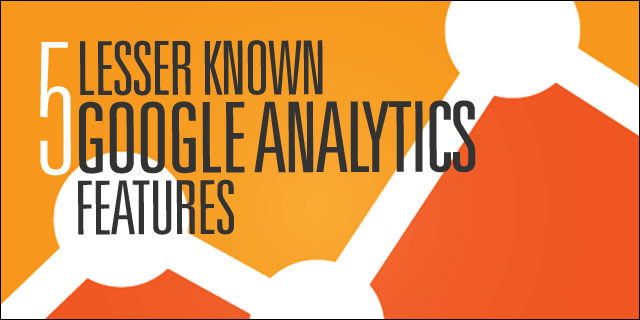 There are several features available in Google Analytics that many marketers aren’t aware of. This article will highlight those features, which can be used by marketers to generate more leads and conversions. 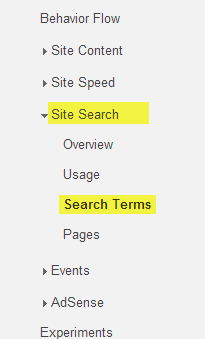 Site search allows you to track the keywords that users are entering on the search bar on your site. Site search is extensively used on sites like music search engines, software download sites, and online shopping sites. As for example, for a query like “Justin Bieber”, Mp3olimp displays songs of Justin Bieber, which you can see here. Suppose, if the webmasters of this site wish to know the query entered by the user then that is possible via site search. The site search option is found under the Behavior column in Analytics and displays the particular search terms that users entered while searching for content on the site. It also displays the search depth and percentage of search exits for deeper analysis of the terms the users care about. 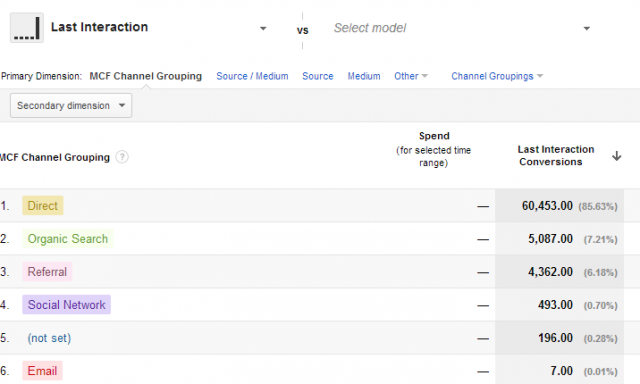 Attribution modeling is an awesome feature that fetches data from the default reports in the multi-channel funnel column. This feature lets you decide on a model for attributing success to a channel (direct, organic, paid, social, etc.) for the conversions happening on your site. 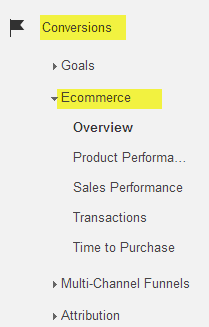 This feature is under the Conversions column. Last interaction: The conversion is attributed to the last channel that assisted in the customer interaction. Last non-direct click: The conversion is attributed to the last non-direct channel that assisted in the customer interaction. Last AdWords click: The conversion is attributed to the paid search channel (AdWords) that assisted in the customer interaction. First interaction: The conversion is attributed to the first channel that assisted in the customer interaction. Linear: The conversion is attributed equally to all the channels that assisted in the conversion. Time decay: The conversion is attributed to the channel closest in time to the conversion. Position -based: 40% conversion is attributed to the first and last channel, and the remaining 20% is divided equally between each of the middle channels that assisted in the customer interaction. Goal flow is the visual display of the path customers are following in order to reach a goal. You can customize the dimension and change it according to your needs. It displays the sessions by source and how many of those move on to complete the goal. This option can be found under the Conversion column. The below graphic displays a visual representation of the path customers followed before they reached a pre-defined goal. This helps you easily analyze the sources of traffic that are converting the most. Ecommerce tracking is a snippet of code that needs to be added on your site in order to collect vital data like total product sales, purchase amounts, billing locations, etc. The value of your business can better be understood by enabling ecommerce tracking. This feature is found under the Conversions column. This feature is particularly helpful in identifying all the channels that played a role in conversions. The assisted conversion column displays the channels that were part of the conversion path but were not part of the final interaction. 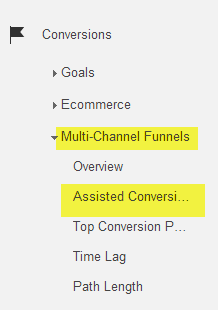 This feature can be found under the Multi-Channel Funnels column. Besides displaying the channels that have the highest number of assisted conversions, it also displays the assisted conversion value of each channel that is part of the conversion process. 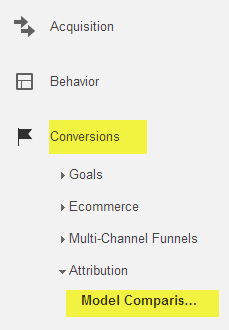 These were some of the best features of Google Analytics that many marketers still aren’t aware of or don’t want to use because of the confusing metrics. Hopefully this post makes them much easier to understand.